Now that we know Super Smash Bros Ultimate will feature every single Smash Bros character in history we decided to start detailing each one, one by one. We’ll take a look at moveset, alternate costumes, changes from the last game, and more. We’ll be adding to each guide as we learn more details. 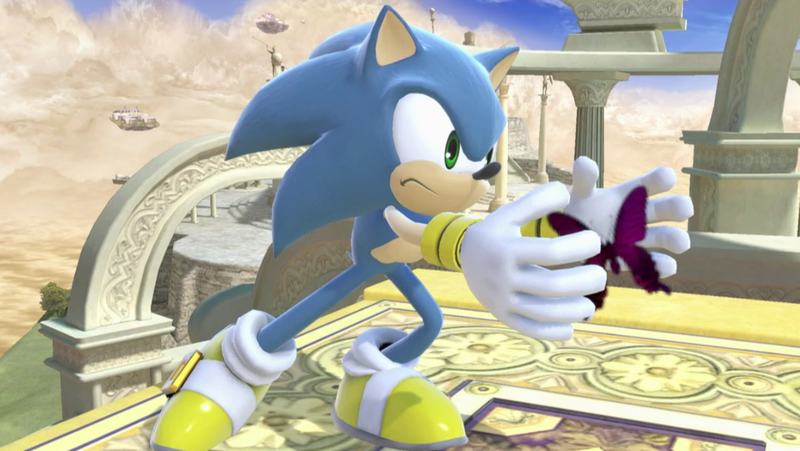 In this Super Smash Bros Ultimate Sonic Guide, we’ll be taking a look at everyone’s favorite blue hedgehog. We’ll detail the changes that have been made since Sonic’s last appearance, look at what his Final Smash is, and list the Alternate Costumes that you can choose from. If you’re looking for details on some of the other characters in the game, you can head over to our Super Smash Bros Ultimate Characters Guide. We’ll be adding details on more and more characters over time, so be sure to check back and see if we’ve covered your favorite fighter yet. 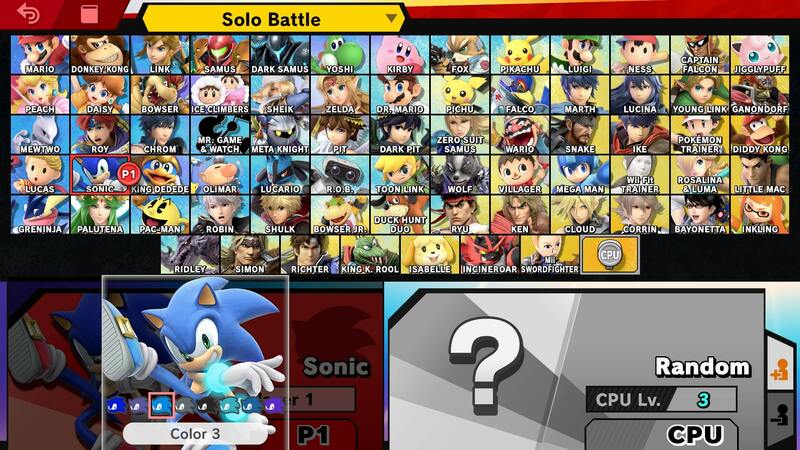 Sonic is back for Super Smash Bros Ultimate, having last appeared in SSB4. He also appeared in Brawl, where he made his series debut. Since then, there have been a number of changes to the way he plays, meaning that even though he may have been your top choice before, things may be different this time around. We’ve listed some key info below to help you decide. The worst character in all of Super Smash Bros. Ultimate (sorry not sorry), you can find all of Sonic’s moves just below. There’s also Sonic’s Final Smash move at the bottom, which utilizes the Chaos Emeralds. Sonic has been through a number of changes since his last appearance. This includes alterations to animations, tweaks to his Final Smash, and new moves. Let’s take a look at what’s new. Several animations have been changed including victory, jumpsquat, dash, walk and forward throw. Sonic comes with a bunch of cool Alternate Costumes for players to choose from. Ost of them swap out the color of his shoes and wristbands, with yellow, pink, blue, white, orange and green versions. There’s also a dark blue Sonic with black wristbands. You can check out the yellow variant in the image embedded above. 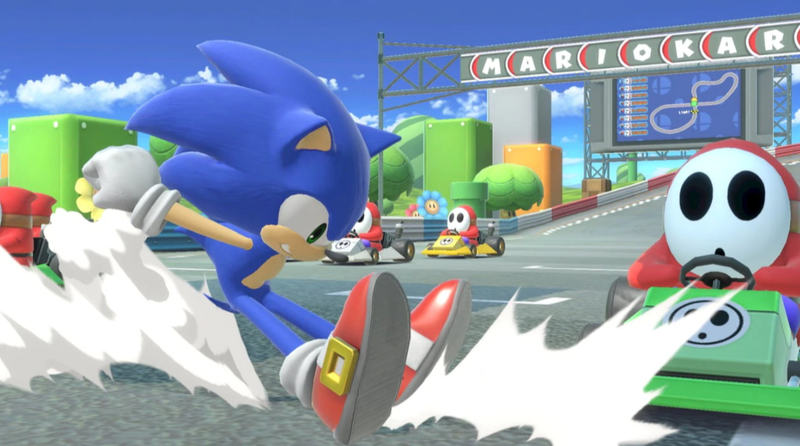 Sonic’s Final Smash is still Super Sonic, but there have been some tweaks to the animation. He goes from left to right, with the player able to control his height above the ground. The whole thing is much faster than in SSB4. You can check out Super Sonic in the trailer embedded above. That’s everything you need to know about Sonic in Super Smash Bros Ultimate. For more details about the game, including release date, trailers and stages, head over to our Super Smash Bros Ultimate Guide.